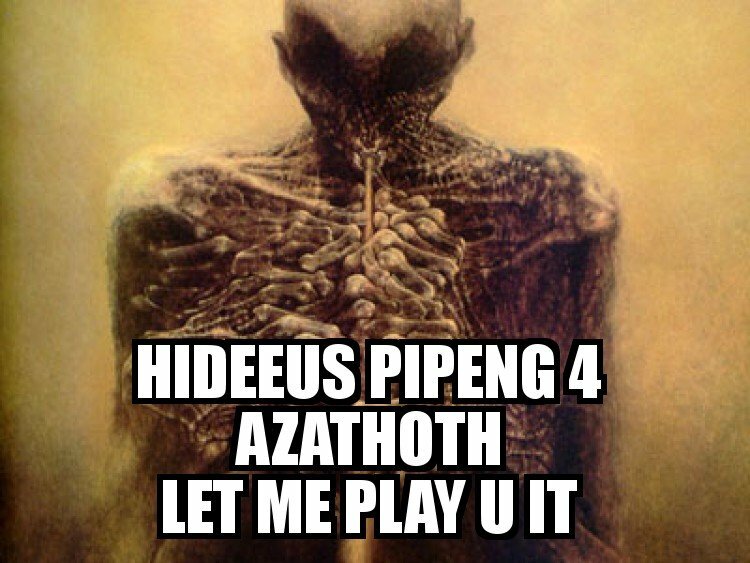 Hail AZATHOTH! Once was blind, now can see, tranzforming Space/Time in Infinity…. It’s not like this painting is depicts asathoth, actually. Artist – Zbigniew Beksinski, and this is one of his nameless paintings. Beksinski lies, for me, in the middle ground between Barlowe and Giger. He merges the darkest sides of the subconscious(giger) with the fantastical aspects of imagination (Barlowe). Apart from surrealisme, I have yet to find art that so perfectly explain the human condition withoit explaining anything.